1. Paul didn’t approve of the culture, he was repulsed by it. 2. Paul did not immerse himself in the practices of the culture, he shunned it. Paul’s method was not to immerse himself in the culture so that he could present the gospel using the popular idioms of the day. His purpose instead was to try to understand their ways of thinking, their presuppositions, and their worldview so that he could discredit them and preach the gospel to them. Contextualization is necessary. Paul had to understand the differences in thinking between the Jews in Thessalonica and the pagan intellectuals in Athens. These people had no knowledge of the true God or the Bible. They had never heard of Moses, never read the Old Testament, and believed in multiple gods. They had a completely different worldview than the Jews. We can learn some important principles about proper contextualization from Paul’s preaching on Mars Hill because today we are in a very similar situation in America as Paul was in Athens. Until fairly recently, most people in America had some form of what is known as a Judeo-Christian worldview. They had at least a cursory familiarity with the Bible. They at least believed in the existence of absolute truth and morality. But that is largely no longer the case. More and more we come across people who are completely ignorant of the Bible, and they hold a modernist or postmodern worldview. Let me explain what I mean by those terms. A modernist is someone who relies solely on empirical, scientific evidence for his beliefs. If you can’t prove something scientifically, then he won’t believe it. Therefore, a modernist doesn’t believe at all in the supernatural. The strength is that he still believes in absolute truth, but it is truth devoid of God and must be proven through the scientific method. This is very similar to the Epicureans of Athens. Many people in our day hold to this kind of worldview. On the other hand, postmodernism completely rejects absolute truth or morality. For the postmodern, experience and feeling are key. They tolerate religion as long as every person is allowed to believe what he wants. They reject that anything can be proven with any certainty. This is very similar to the Stoics in Athens, and again, many people in our day hold to this kind of worldview. I think we fail often today when presenting the gospel in assuming too much of our audience. We don’t do enough to really understanding the though patterns and presuppositions of our listeners. For instance, we might approach someone and tell them “Jesus loves you and died for your sins.” But we are assuming so much with that statement, and if we don’t qualify and explain it, we might cause a lot of confusion. People today have absolutely no concept of sin because they don’t believe in absolute morality. Most people see sin a relative. What is sin in one culture is not necessarily sin in another. Sin is a sickness or a psychological condition as a result of pressure from the community. And so someone like this would hear what you say and interpret it in merely psychological terms. They might think that Jesus died to fix a psychological problem rather than real guilt before God. It is crucially important that we understand what people are thinking, where they are coming from, and what they hear when we use biblical terminology. Chances are, they don’t hear the same thing as you do when you hear terms such as sacrifice, guilt, or sin. We need to understand their thinking and then present the gospel in a way that will confront their thinking. That’s biblical contextualization. Paul was confronted with people who had very opposite wordviews than he had and than a typical Jew had. So how did he present the gospel to them? He started with the basics. So Paul, standing in the midst of the Areopagus, said: “Men of Athens, I perceive that in every way you are very religious. For as I passed along and observed the objects of your worship, I found also an altar with this inscription, ‘To the unknown god.’ What therefore you worship as unknown, this I proclaim to you. The God who made the world and everything in it, being Lord of heaven and earth, does not live in temples made by man, nor is he served by human hands, as though he needed anything, since he himself gives to all mankind life and breath and everything. And he made from one man every nation of mankind to live on all the face of the earth, having determined allotted periods and the boundaries of their dwelling place (Acts 17.22-26). What’s Paul’s basic point in this first part of his message? His point is this: There is one God who is the ruler of all things. He made all things in the world and in the heavens, He does not live in any earthly dwelling and He doesn’t need anything from us because He controls everything. In fact, he made all of us and he determined our life spans and where we would live. He is the ruler of all. That’s the first point of Paul’s gospel presentation. That they should seek God, in the hope that they might feel their way toward him and find him. Yet he is actually not far from each one of us, for “In him we live and move and have our being”; as even some of your own poets have said, “For we are indeed his offspring.” Being then God’s offspring, we ought not to think that the divine being is like gold or silver or stone, an image formed by the art and imagination of man (vv. 27-29). What implication does Paul draw from the fact that God created all things and is in complete control of all things? It’s this: we are all responsible to Him and must submit to His rulership. God has authority over us because He created us, and He wants us to seek Him out and serve Him. And there is such a thing as absolute truth and morality — it is based upon the Creator Himself. But there’s a problem. People are ignorant of God — Paul has already illustrated that by the fact that these Athenians have an altar “To an Unknown God” — and they are ignorant of who he is, and therefore they don’t serve the God who created them. That leads Paul to the third point of his gospel presentation. The times of ignorance God overlooked, but now he commands all people everywhere to repent, because he has fixed a day on which he will judge the world in righteousness by a man whom he has appointed; and of this he has given assurance to all by raising him from the dead (Acts 17.30-31). Paul’s third point is that God will no longer overlook ignorance of Him. He demands that people repent of their sin and turn to Him or he will judge them. The day has been set by God, Paul says. There is no way around it. If you do not submit to God, you will be judged. So point one, God is the ruler of all. Point two, He demands that people serve Him. Point three, you must repent of your idolatry and turn to God or you will be judged. Notice that he has yet to say anything about Jesus, his love, his death for sin, or forgiveness from sin. Why? Because he had to deal with these people’s faulty worldview and presuppositions about God and about themselves before he could go anywhere near discussing Jesus. The Jews in Thessalonica had generally correct presuppositions. They believed in Yahweh. They believed the prophesies of the coming Messiah. So all Paul had to do was to show them how the prophesies fit with the realities of Jesus. That doesn’t mean they all just accepted his message; most did not. Salvation still takes a supernatural work of the Spirit of God. Nevertheless, with Jews, Paul was able to go straight to Jesus. But he couldn’t do that with these pagans. And we cannot do that with most people in our culture today. There was a time in the history of America where you could just walk up to someone and say, “Let me tell you how you can be forgiven of your sin,” and it would have made general sense. Again, salvation still took at supernatural work of the Spirit, but people at least had a general understanding of absolute truth, of God, and of Jesus. Most people had some sense of responsibility to the Creator and the sinfulness of mankind. Not so today. Most people deny any inherent authority in anything and deny absolute standards of morality. With most people it would be unwise to start with Jesus because they have no conception of a need for Him. It would be unwise to start with forgiveness of sin, because people have a warped concept of what sin is. If we start with “Jesus loves you,” the immediate response in the mind of a typical modernist today would be, “Well, if God is love, then why is their suffering in the world?” You have to start with a right view of God and a right view of man first before you can talk about the love of God or Jesus’ sacrifice for sins. 1. The absolute authority of God. 2. The absolute depravity of man. And to get these two points straight, we need to do what Paul did: start at the beginning. Tell the whole story of the Bible. We need to establish that God is the Creator of all. We need to establish that mankind as the creature is responsible to God. And we need to establish the fact that all people everywhere do not serve Him and will be judged if they do not repent. So how does this affect us practically, then? I want to suggest a few ways. 1. We need to make efforts to understand the thinking of people around us. This means that we need to spend time with unbelievers. We need to get to know them. You need to have your neighbors over for dinner or for games. You need to have a neighborhood barbeque at your home. You need to go out to lunch with your co-workers. You need to get to know unbelievers around you so that you can begin to understand how they think. But remember, like Paul, we do not have to immerse ourselves in their sinful culture. We don’t have to go to the sinful places they go or do the sinful things they do. We can get to know them and understand how they think without getting dirty ourselves. And one of the greatest ways to protect ourselves is accountability within your church. This is why the task of evangelism has been given to individual believers in the context of a local church. We need each other for accountability so that while we get to know unbelievers, we can protect ourselves from the temptation to join them in our sin. Be careful with a “Lone Ranger” mentality when trying to reach unbelievers. Satan would like nothing more than to catch you in a trap. Christian fellowship is so crucial and important. But we need to be careful that we don’t limit our relationships or activities to Christians only. Really, the two don’t have to be mutually exclusive. Invite your neighbors over and a family from church. Work together on this. 2. We need to know how to answer people’s presuppositions. This means that we need to know the Bible. We need to know the gospel. Now this is where most people get caught up. You think, “Well it’s easy to get to know my neighbors,” but you’re afraid of actually engaging them in conversation about the gospel. I really think that one of the biggest reasons we don’t give the gospel is that we’re afraid that we won’t do it right; that we’ll mess up; that we’ll confuse things. I understand that fear. But we need to remember that it is God who saves, not us. And God can use an imperfect presentation of the gospel to save someone. Look at Paul’s presentation here in Acts 17. He didn’t get a chance to give the whole gospel before he was interrupted, and yet God evidently gave him opportunity with some individuals later because they believed in Christ. Some plant, some water, but it is God who causes growth. You may mess up. You may not have time to present the whole truth. But God can still use that. It is still our responsibility to know the gospel the best we can and present the message so that people will understand. The best tool I know of that can help us present the gospel just like Paul did here in Acts 17 is “Two Ways to Live.” What I like about this tool is that it presents the gospel just like Paul did. The first three points are these: (1) God is the ruler of the world, (2) We all reject the ruler, and (3) God will judge us. Again, we have to get those three points right first before we can go any further. Yet most presentations of the gospel start with things like, “God has been so good to me,” or “Jesus died for you.” Are those statements true? Yes. But they will not make proper sense unless people get right the concepts of God’s rulership and their sinfulness. We have to start there. Really these principles are no different than for any kind of communication. You have to know your audience and you have to know your subject. Yet I’m afraid we often take one or both of these principles for granted. Let’s be deliberate in our evangelistic endeavors. Let’s contextualize the message not by letting ourselves be stained by the world, but by understanding our audience and seeking to engage their thinking with the truth of the Bible. Ultimately a commitment to rightly contextualize the gospel must be rooted in a confidence in the power of the gospel. Luke teaches us about that power in Acts 19. Ephesus was a city of great power. This city boasted a population of 500,000 people and was a major center of travel and commerce. It was situated on the Aegean Sea at the mouth of Cayster River, and was one of the greatest seaports of the ancient world. The market and trade area in the city was 360 ft square with hundreds of shops and booths for people to sell their goods. The city had the largest theater in the world at the time, capable of holding up to 50,000 people. The city was known for its knowledge and ingenuity. It boasted of a huge library and likely had the first instance of indoor plumbed toilets. I have set eyes on the wall of lofty Babylon on which is a road for chariots, and the statue of Zeus by the Alpheus, and the hanging gardens, and the colossus of the Sun, and the huge labor of the high pyramids, and the vast tomb of Mausolus; but when I saw the house of Artemis that mounted to the clouds, those other marvels lost their brilliancy, and I said, Lo, apart from Olympus, the Sun never looked on aught so grand. Ephesus was a city of great power, and its people were captivated by power. The city was filled with magicians and sorcerers and healers — people infatuated by power. Ephesus was a center of magic power and political power and religious power, but the power that the people of Ephesus enjoyed and pursued was nothing compared to the power they would experience with the arrival of the apostle Paul. Paul’s three years in Ephesus mark the climax of his public ministry, and in Acts 19 Luke highlights the powerful effects that resulted from this ministry. So because of power the word of the Lord grew and was strong. This statement is very similar to other summary statements made by Luke throughout the book of Acts. For instance, 6:7 says, “And the word of God continued to grow” — same word translated “grow” in 19.20. Or in 12.24, “But the word of God grew” — again, same word. Luke’s summary statements often emphasize the growth of the influence of the gospel. The difference here in chapter 19 is Luke’s emphasis is on the reason for the growth — power! In fact, in the Greek, the verse begins with the phrase, “Because of power.” There is no doubt that Luke is emphasizing the power of the gospel in this chapter. 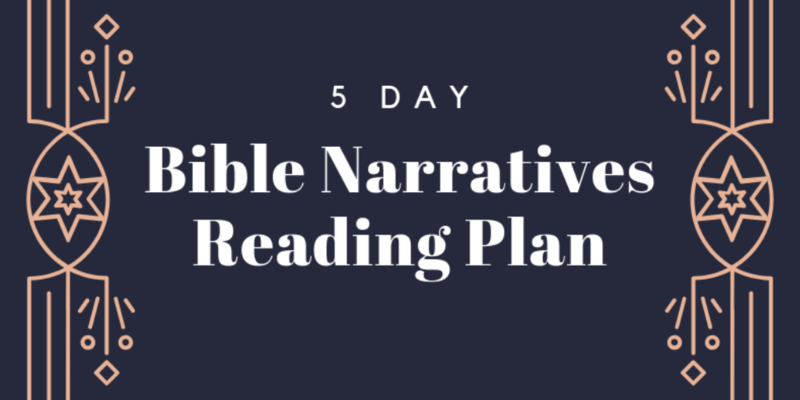 There were certainly hundreds of events that Luke could have recorded about Paul’s three year stay in Ephesus, but he chose certain specific events to make a central point. In recording the events that he does, Luke sets up this power of the gospel in contrast to the infamous “powers” of the city of Ephesus. So I’d like to notice in this chapter evidences of the power of the gospel. Paul essentially gave them the gospel of Jesus Christ, and it had a powerful effect — they were baptized into the name of the Lord Jesus. For in [with] one Spirit we were all [who are the “all”? those who have trusted Christ] baptized into one body— Jews or Greeks, slaves or free—and all were made to drink of one Spirit. So who is it that experiences spirit baptism according to this verse? Well, in context it is “brothers” — believers in Jesus Christ. Anyone who believes, regardless of race, may be spirit baptized. What is it? According to the verse, spirit baptism places believers into one body — whose body? Christ’s body. So those who are spirit baptized are immersed into Christ — united together in Christ’s Body, which is the Church. When does it happen? Well, the verse says, “were all baptized,” which indicates a point of time in the past. And because all believers are placed into the Body of Christ, it must occur at the moment of salvation. So spirit baptism happens to all believers at the moment of their salvation, and it places them into the spiritual Body of Jesus Christ. So what is clear then in Acts 19 is that these disciples of John the Baptist were not believers in Jesus Christ, but when Paul preached the gospel to them, they believed and were spirit baptized. And just like we see several times in the book of Acts, this baptism was accompanied by tongues and prophesy in order to authenticate their union in the Body of Christ. So here we see the first example of the power of the gospel — the gospel has power to save, and particularly, the gospel grants membership in the Body of Christ. Now just stop for a moment and consider the impact of what this means. The gospel has the power to take individuals who are not only of different races and backgrounds and personalities, but who are also rebels and God-haters, and fit them together into the spiritual Body of Jesus Christ. It has the power to take sinful, selfish rebels and make them the hands and the legs and the fingers of Jesus Christ’s spiritual body on this earth. Now that’s power! And as a side note, this is why visible water baptism and visible local church membership are so important — they picture the wondrous realities of spirit baptism and membership in the spiritual Church. Being physically baptized and visible joining a local church are the most important first acts of obedience for a Christian because they put on display the power of the gospel! But there is another aspect of the power of the gospel in salvation beyond membership in Christ’s Body, and it is illustrated in verses 8-17. In verse 8 we find some of the content of Paul’s gospel message — he argued “persuasively about the kingdom of God.” The gospel not only has the power to grant us membership in the spiritual Body of Christ, but it also has the power to grant us citizenship in the Kingdom of Christ. That Kingdom is not yet here, but when someone repents and believes in Jesus Christ, he is made a citizen of that future Kingdom. And this is illustrated by the “extraordinary miracles” that God did through Paul. What are the purpose of miracles? 2 Corinthians 12.12 tells us that miracles were the mark of an apostle, and Hebrews 2.3-4 tell us that miracles confirm the truthfulness of the gospel. So the purpose of these miracles performed by the apostle Paul were to confirm the gospel message. But how do miracles confirm the gospel? It directly relates to the power of the gospel to grant citizenship in the Kingdom. Hebrews 6.5 calls miracles “powers of the coming age.” In other words, these kinds of blessings that the people in Ephesus were experiencing — healings, freedom from evil spirits — were foretastes of Kingdom blessings and therefore proof of the power of the gospel to grant citizenship in the Kingdom. Again, stop for a moment and consider the significance of this. What does it mean to be a citizen of a kingdom or country that is not the one in which you are currently living? It means that you possess all the rights and privileges of that kingdom or country even though you don’t live there. In the summer of 1999 I traveled with a choir in Europe. Once when we were in Russia, we were driving down the road (I was driving one of the three vans), and we noticed a road block up ahead. We were pulled over by the military — jeeps and machine guns and uniforms and all. They demanded that the drivers of the vans (I being one of them) get out of the vehicles and follow them. We didn’t have much choice since they had guns! Thankfully we also had a Russian translator with us, so he went along. We followed the soldiers into a large bus on the side of the road. All the seats had been removed, and in the very back of the bus was a large couch with a table in front of it and a greasy, “Godfather” looking man with an open white dress shirt and gold chains around his neck seated there surrounded by some guards. We walked to the back of the bus, and saw on the table in front of the man various syringes and needles. Our translator began talking with the man on the coach, and pretty soon he got a little bit agitated and then turned to us and said, “We’re leaving.” And we followed him out of the bus, got in our vans, and drove off. We found out later that this was simply a routine drunk driving road block, and the authorities were pulling over all of the vehicles and making the drivers give blood for alcohol testing. So they wanted to stick us with one of those needles to test our blood and see if we had been drinking alcohol. You see, as citizens of another country, we enjoyed the rights and privileges and protection of that country even thought we were not actually in that country. There are some limits to that protection, and we still have to abide by the laws and regulations of that country. But we do still possess the rights of our citizenship. The same is true for anyone who is a believer in Jesus Christ. We are citizens of a future Kingdom. We do not yet live in that Kingdom, but in many ways we enjoy the rights and privileges and protection of that Kingdom! The gospel has power! It has power to save — it grants us membership into the Body of Christ and it grants us citizenship in the Kingdom of Christ. This is great power. And this is not some kind of cheep magical power that can be sold like the magical power that fascinated the Ephesians. This is illustrated in the next event that Luke records. Here are some men — sons of a Jewish chief priest, no less — who see Paul casting out demons and are so fascinated by it that they decide to try it themselves, no doubt charging money along the way. But instead of being successful, they are left naked and bleeding. The gospel provides power, but it is not magic. It is true power in the message of Jesus Christ to save sinners, and it is authenticated here with miracles. But the miracles are not ends in themselves — they simply testify to the truthfulness of the gospel. The power of the gospel is not limited only to salvation, however. Here we have people coming to salvation through the power of the gospel — it grants them membership in Christ’s body and citizenship in Christ’s Kingdom. But the power of the gospel extends beyond merely these point-in-time moments of salvation. The power of the gospel has even further-reaching results. And this became known to all the residents of Ephesus, both Jews and Greeks. And fear fell upon them all, and the name of the Lord Jesus was extolled. Also many of those who were now believers came, confessing and divulging their practices. And a number of those who had practiced magic arts brought their books together and burned them in the sight of all. And they counted the value of them and found it came to fifty thousand pieces of silver. So the word of the Lord continued to increase and prevail mightily. Because of power, the word of the Lord grew and was strong, “in this way.” In what way? By saving sinners, and by sanctifying them. The gospel not only has power to save, but it also has power to sanctify. Verse 18 says that they openly confessed their evil deeds. This power had moral impact. Verse 19 says that those who had practiced sorcery burned their scrolls publicly. This power had religious impact. The burning of these scrolls was very expensive, but these normally greedy Ephesians didn’t care. This power had economic impact. Many people think that we need the gospel only for our salvation. But the power of the gospel extends far beyond our salvation to every aspect of our lives! Ephesians 3.16 says that believers are strengthened with power [same Greek word] through he Spirit in the inner man. That’s sanctification. Titus 2.11-12 says that the same grace that brings salvation also teaches us to say no to ungodliness. The power of the gospel that saves is also the power that sanctifies! It completely transforms the unbeliever. Someone does not have to reform his life in order to experience the power of the gospel, but where there is no transformation, there is no power, and where there is no power, there is no gospel. Someone who is living in sin cannot claim to have experienced the power of the gospel. If the gospel were some unremarkable thing, then maybe someone could experience it without any lasting effects. But the gospel is not unremarkable. The gospel is like an atom bomb — When its power is released, you will see evidences of its impact. When the atom bomb was dropped on Hiroshima near the end of World War II, that 130 pounds of uranium created a blast equivalent to about 13 kilotons of TNT. The radius of total destruction was about 1 mile, with resulting fires across 4.4 square miles. Infrastructure damage was estimated at 90 percent of Hiroshima’s buildings being either damaged or completely destroyed. No one doubted the power of that bomb. The power was evident in the results. To deny that the gospel has the power to transform lives would be like if I insisted that I set off an atom bomb in your town, but you saw absolutely no evidence of its power. Unbelievers will notice the transforming power of the gospel. Demetrius recognized that the gospel had a powerful impact upon the commercial and religious so-called “power” of the city of Ephesus. Even the term they used to describe Christianity — “The Way” — reveals that even unbelievers knew that believing in the gospel implied a change in lifestyle. The power of the gospel so threatened the very fabric of the Ephesian society that it caused a violent riot that lasted for hours. This city that was so infatuated with power — commercial power and political power and religious power and magical power — was thrown into confusion by the power of the gospel. And Luke highlights the fact that it was not power in Paul himself — he didn’t even go to theater. Ephesus was literally turned upside down simply by the power of the gospel itself. I want to conclude by narrowing in even closer on the exact nature of this power, and to do so, I would like to look at Paul’s own words to these very people who were saved in this chapter. I want to turn to the first chapter of Ephesians. Here Paul addresses the believers in this city that is so enamored by power, but he reveals to them a greater power in the gospel, and explains just how powerful it is. Begin reading in verse 15-19. For this reason, because I have heard of your faith in the Lord Jesus and your love toward all the saints, I do not cease to give thanks for you, remembering you in my prayers, that the God of our Lord Jesus Christ, the Father of glory, may give you a spirit of wisdom and of revelation in the knowledge of him, having the eyes of your hearts enlightened, that you may know what is the hope to which he has called you, what are the riches of his glorious inheritance in the saints, and what is the immeasurable greatness of his power toward us who believe, according to the working of his great might. Now let’s stop here for a moment in verse 19. This verse literally reads, “And his incomparably great ability [same word in Acts 1.8 where Jesus said we would receive ability to witness] for us who believe.” So all believers are given an incomparably great ability. But then the verse continues by saying literally, “That ability is because of the working of his mighty power” — that’s the exact same phrase as we saw in Acts 19. So this ability given to all believers is because of God’s mighty power. This power is what we’ve been witnessing in Acts 19. [That ability is because of the working of his mighty power] that he worked in Christ when he raised him from the dead and seated him at his right hand in the heavenly places. Do you realize the significance of that statement? The exact same power that God exerted in raising Christ from the dead is the same power that is at the heart of the gospel. It is a power that reverses all other powers. This power reverses the power of death — not only the death of Christ (verse 20), but also the condition of death that characterizes all sinners (Ephesians 2). This power reverses the great power of Satan over the world and sets up Christ as the supreme King of all (verses 20-22). This power reverses Babel and unites people from all races in one Body (verse 23). And this power reverses the sinful habits of believers and conforms them to the image of Jesus Christ. At the end of the day, it is not our cleverness or our efforts or our contextualization that leads a person to accept Christ. It is the life-changing power of the gospel of Jesus Christ. (1) Paul's comment on the "religiousness" of the Athenians was not a slur; they accepted this as definitive for their culture, and his comment was likely considered an appropriate recognition of what they valued. (2) Paul's use of the terms "dierchomenos" and "anatheoron" (sorry, rough transliteration) seems to undermine your claim that he refused to "immerse himself" in Athenian culture. I don't think it overrides your claim, but I think it weakens it as these terms (which can be translated as "closely investigated, carefully observed, thoroughly travel through") indicate that he spent a good deal of time observing and digesting before contextualizing. (3) His use of Epimenides was not a one-time event; he actually quotes a different line from the same work of Epimenides in Titus as well. This is not a definitive argument, but it seems to indicate that Paul knew this pagan literature quite well. I agree with the general direction of your comments–you desire to see the gospel proclaimed effectively, God to be glorified in all, and for believers to remain free from sin. This is why I strongly agree with your call for active discernment; too many pastors think of the work of contextualizing the Gospel as simply soaking in the world, passively intaking much of the world's messages and allowing them to shape us. Instead, we should be actively subsuming those messages, actively evaluating them and making them work for us rather than through us.